A beautiful painting of three dogs in an ornate gold frame hung in our family’s living space and commanded attention for more than 50 years. Once belonging to Wisconsin Governor-elect Orland Steen “Spike” Loomis, the painting used to hang in the Mauston home of my grandparents, Carl and Ruby Hanneman. After a journey of 75 years, the painting is back home in Mauston and will hang permanently in the Boorman House Museum run by the Juneau County Historical Society. The pastel artwork was delivered on Wednesday, August 2 to the museum, accepted by Nancy McCullick, president of the Juneau County Historical Society. It was a gift from the entire Hanneman family, made in memory of Carl and Ruby and their three children: David, my Dad (1933-2007), Donn (1926-2014) and Lavonne (1937-1986). It now hangs over the bookcase in the library of Mauston pioneer Benjamin Boorman. Propped up in a temporary space on Wednesday, the painting already looked at home. Its beauty and historic significance will fit in very well at the Boorman House. The painting was a gift from Orland S. Loomis to Carl Hanneman, given in recognition of Carl’s help getting Loomis elected Wisconsin governor in 1942. It previously hung in Loomis’ law office in Mauston, and in his office in Madison when he was Wisconsin attorney general from 1937 through 1938. Loomis died on December 7, 1942 after suffering a series of heart attacks. He was 49. Loomis was the only Wisconsin governor-elect to die before taking the oath of office. Loomis previously served as Mauston city attorney (1921-1931), a state representative (1929-1930) and state senator from Mauston (1930-1934). Loomis also served as a special prosecutor in the 1930 case of the assassinated Juneau County district attorney, Clinton G. Price. We’ve chronicled some of the other stories of Carl’s relationship with Loomis, such as the touching 1937 letter he wrote seeking help obtaining a full registered pharmacist license. Carl was in the Loomis home on election night in November 1942, and his photo of the governor-elect on the telephone ran on Page 1 of the The Wisconsin State Journal on November 4, 1942. It was published on Page 1 again on December 8, 1942, the day after Loomis died. Carl’s 1942 news article on reaction to Loomis’ death appeared in a 2014 Wisconsin Public Television “Hometown Stories” documentary. 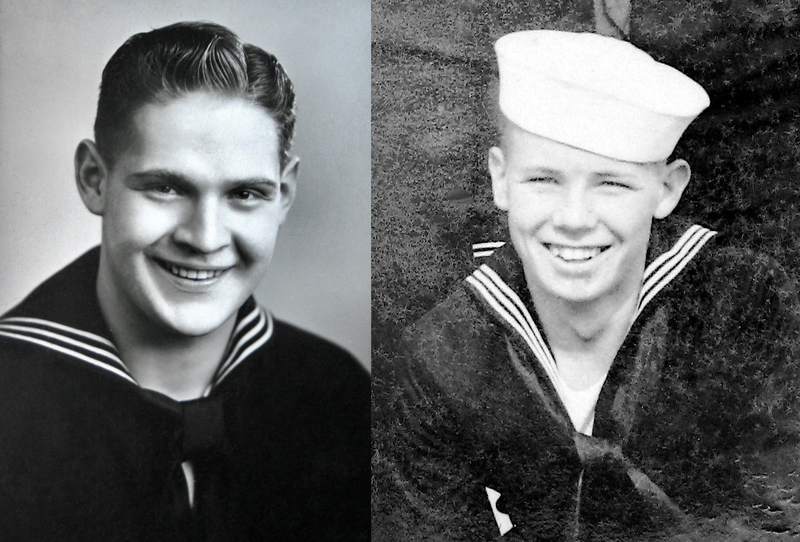 Ruby V. and Carl F. Hanneman lived and worked in Mauston for decades. The beauty of the painting can be most appreciated when viewed up close. The dogs are at the edge of a wooded area, and appear to be listening to their master’s call. The woods look peaceful and serene. In the right light, the painting takes on incredible depth. It looks as if you could step into it and venture into the woods. That effect was very noticeable in the lighting at the Boorman House. The pastel work was created by an artist named F.M. West. So far we have been unable to learn anything of his or her history. More research will be needed to determine if Loomis commissioned this painting, or if it was a gift from a family friend or a constituent. West was a common surname in Juneau County in the early 20th century. The painting was the second Hanneman donation to the Juneau County Historical Society since 2007. That year, the family donated a collection of historic photographs, ephemera and memorabilia from the Hannemans’ nearly 50 years in Mauston. The donations are in keeping with David and Mary Hanneman’s long-held practice of giving back to the community, such as the four ornate stained-glass window sections donated to St. Mary’s Hospital in 2006 while Dad was being treated there for lung cancer. In 2017, the family donated Carl F. Hanneman’s pharmacy school papers to Marquette University, where he studied in 1923 and 1924. The Hannemans moved to Mauston from Wisconsin Rapids in 1936. Carl was the druggist at the Hess Clinic on Division Street until his semi-retirement in the 1960s. He served for 26 years on the Mauston Police and Fire Commission, the Juneau County Fair Board of Directors, the Mauston Chamber of Commerce, and the Solomon Juneau council of the Knights of Columbus. In April 1978, he was honored by the Mauston City Council for his lifetime of service. The state Assembly passed a resolution, authored by Rep. Tommy G. Thompson, honoring Carl for his civic and community service. In 1966, Carl closed the pharmacy early and took the young state Assembly candidate Thompson around Mauston to meet members of the business community. It was a gesture Thompson would never forget, even when he was the longest-serving governor in Wisconsin history. The David Hannemans moved to Sun Prairie in 1965. Dad was a longtime member of the Sun Prairie City Council and the Dane County Board of Supervisors. He served as mayor of Sun Prairie from 2003 to 2005. Mom taught reading and other subjects for more than 25 years at Sacred Hearts of Jesus and Mary Catholic School. In 2007, Dad was posthumously honored by the City of Sun Prairie and the Dane County Board for his service. In November 2006, Gov. Tommy Thompson took time away from a presidential campaign stop to call an ailing Dave at St. Mary’s Hospital. 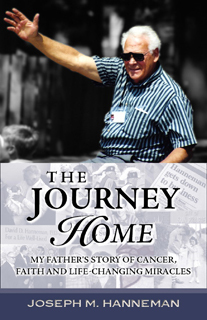 The call brought tears to Dad’s eyes and buoyed his spirits throughout his cancer battle. Ruby Hanneman, Ann Eckern, Elaine Hanneman, Carl Hanneman and Donn Hanneman in front of the painting in the Hannemans’ Mauston home, circa 1948. 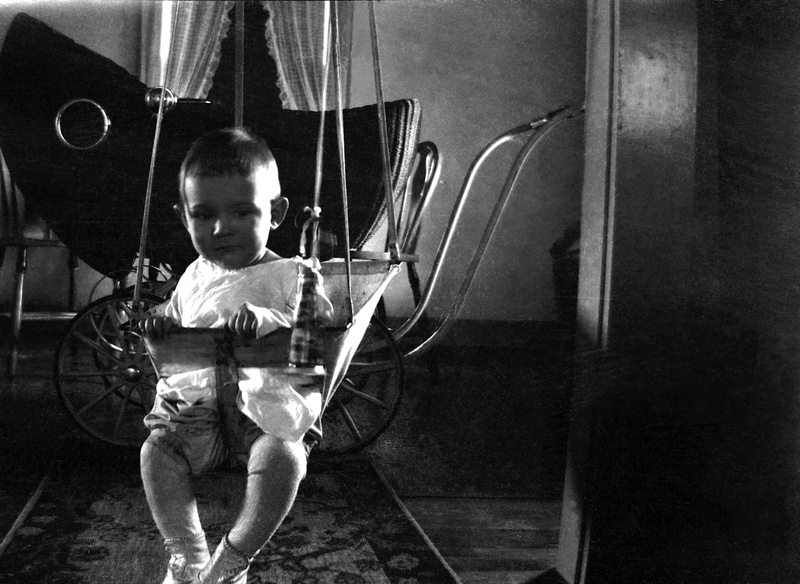 The corner of the painting is visible just above the couch at the Hanneman home in Mauston, shown here in the 1940s. David D. Hanneman and dog Bubbles sit under the Loomis painting, circa 1950. The Carl and Ruby Hanneman home in Mauston, circa 1955. Carl Hanneman wrote to Orland Loomis in 1937 to seek his help fixing a state law that discriminated against assistant pharmacists who worked in small towns. Carl F. Hanneman’s photo of Orland Loomis on Page 1 of The Wisconsin State Journal on December 8, 1942. Carl F. Hanneman was honored by the city of Mauston in 1978. This article ran in the Juneau County Chronicle. David and Mary Hanneman with sons Joe and David, and niece Laura, in 1966. Laura Mulqueen and David C. Hanneman under the painting in Sun Prairie, 1966 or 1967. Detail of the painting done by F.M. West. The Loomis painting remained in the same spot in the David D. Hanneman home in Sun Prairie, for 52 years. The Hanneman living room in Sun Prairie, decorated for Christmas in 2013. Just before it was removed for transportation to the Juneau County Historical Society. Joe Hanneman with Nancy McCullick, president of the Juneau County Historical Society. The Juneau County Historical Society’s Boorman House Museum in Mauston. The Hanneman family donated historic photos and ephemera in 2007. Carl F. Hanneman was a longtime member of the Mauston Police & Fire Commission. This historical marker dedicated to Orland Loomis stands outside the Juneau County Courthouse in Mauston. David D. and Mary Hanneman. As many times as I’ve traveled to central Wisconsin, I was not aware of a beautiful, sprawling religious shrine built by a Catholic priest in thanksgiving for having his health restored after a visit to Lourdes, France in the early 1900s. The Rudolph Grotto Gardens near Wisconsin Rapids were the dream fulfilled of Father Philip Wagner, who developed and dedicated the site to the Blessed Virgin Mary in 1927. 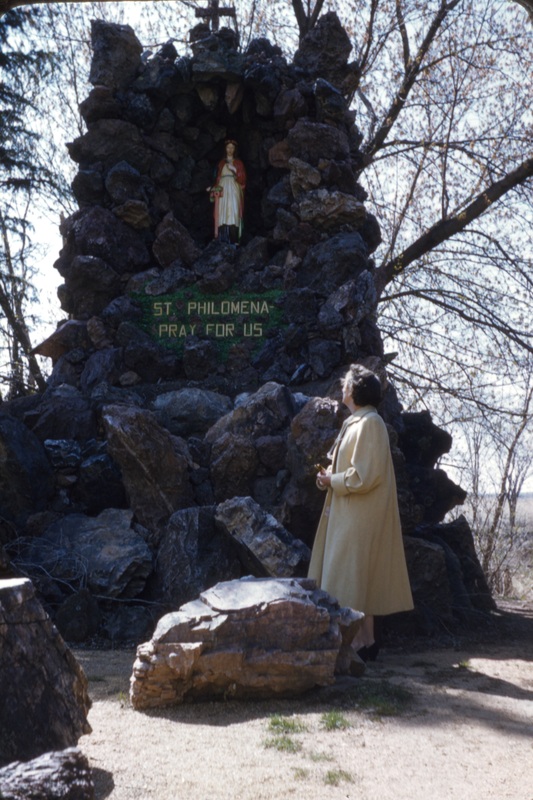 I learned of Rudolph Grotto Gardens while researching a photo of my grandmother, Ruby V. Hanneman, standing near a statue of St. Philomena in 1958 or 1959. St. Philomena, who was martyred at age 13, is known as the Patroness of the Living Rosary. Her shrine at Rudolph Grotto Gardens was built in 1957 by Edmund Rybicki, Father Wagner’s right-hand man. The first grotto shrine at the Rudolph site, dedicated to the Our Lady of Lourdes, was completed in 1928. 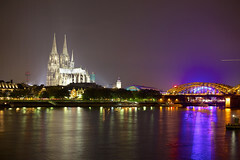 When a young and sick Philip Wagner visited the famous shrine at Lourdes, he promised the Blessed Virgin Mary that if he were healed of his illnesses so he could become a priest, he would build a shrine to her in America. And so he was healed, and was ordained a priest in 1915. He was assigned to St. Philomena Catholic Church in Rudolph in 1917. 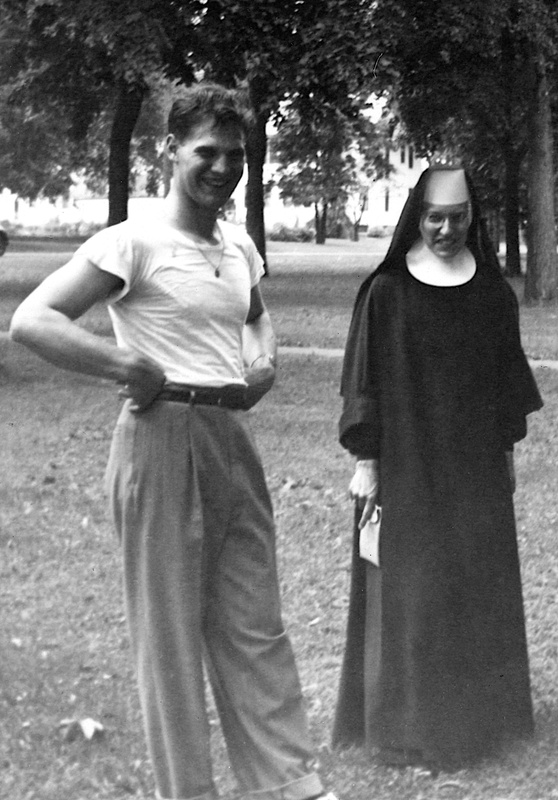 Ruby V. Hanneman stands at the St. Philomena shrine in Rudolph in the late 1950s. 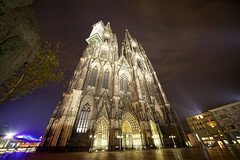 Over the years, the site expanded to include the Stations of the Cross, the Ten Commandments, a Last Supper Shrine, A “Wonder Cave” modeled after the catacombs, a Shrine of the Resurrection, a soldier’s monument and more. Father Wagner and Rybicki labored on the site for decades. After Father Wagner died in 1959, Rybicki became the site caretaker. In 1961, St. Philomena Church was rededicated and renamed St. Philip the Apostle in honor of Father Philip Wagner. The last project at the grotto gardens was finished in 1983. Read more about the site here. 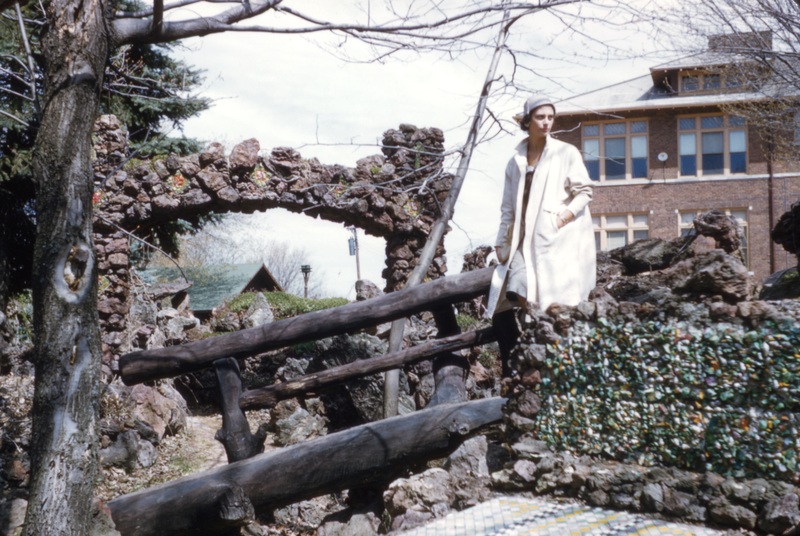 Lavonne Hanneman stands near an arch at the Rudolph Grotto Gardens in 1958 or 1959. 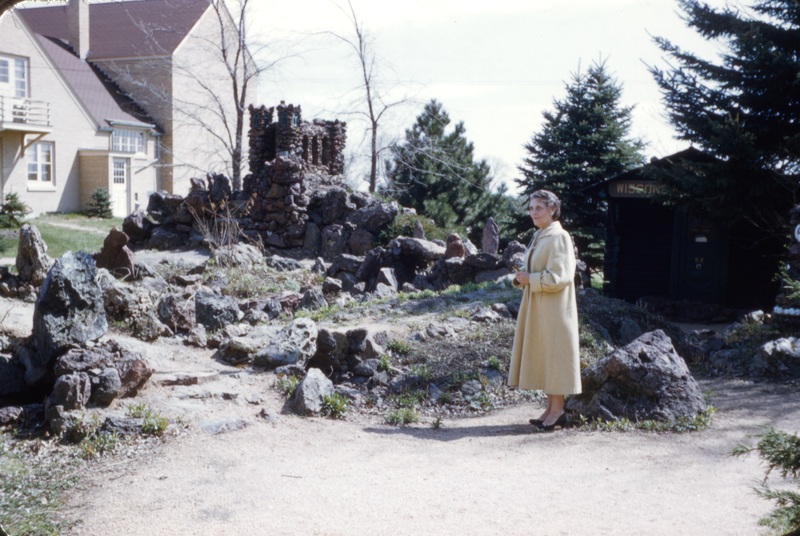 Ruby V. Hanneman at Rudolph Grotto Gardens in 1958 or 1959. My Dad’s family made several trips out West, to Arizona and the Dakotas. Sorting out and matching photos with cities has been a constant challenge. 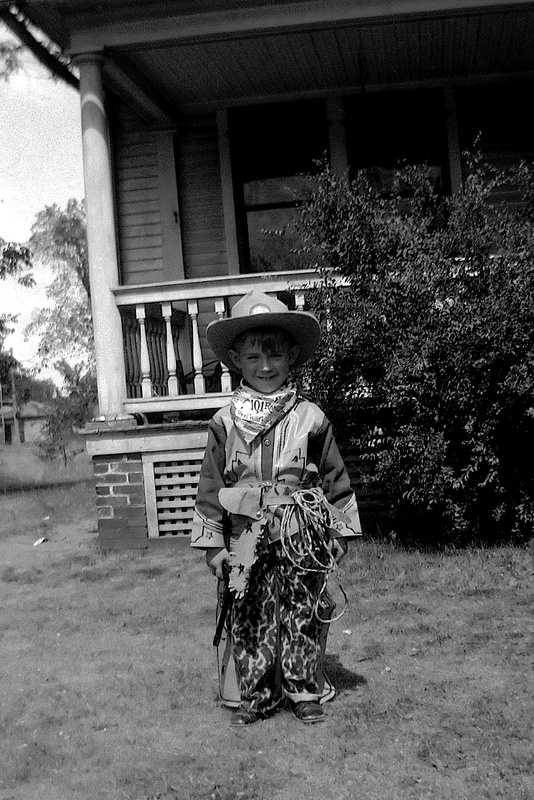 A couple of intriguing photos show Dad with a cowboy identified as Hiram Greene. I wondered, was Hiram Greene a famous rodeo rider, a film star or some other celebrity? 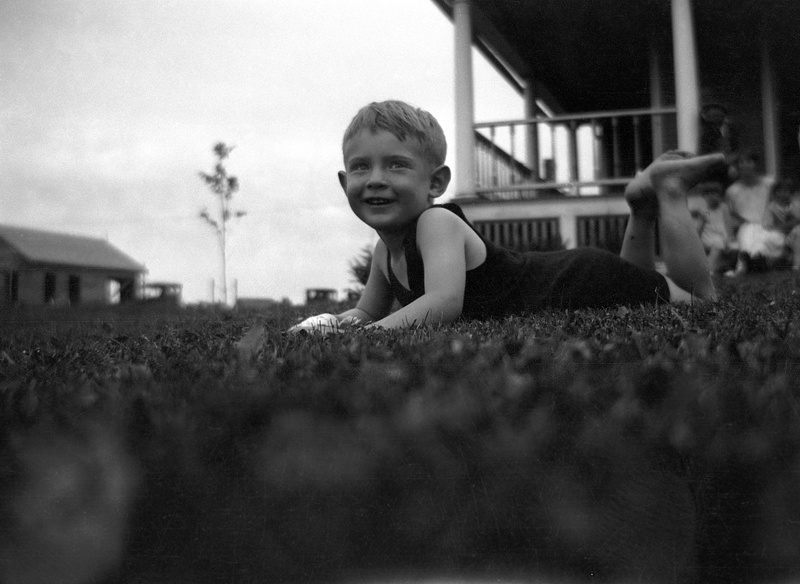 My first source of information was the caption on the back of one photo, written by my grandmother, Ruby V. Hanneman. It listed the name “Hiram Greene” and said he was from Billings, Montana. 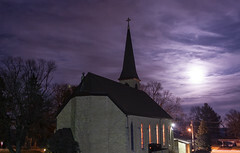 The photo, according to the caption, was taken at Canistota, Minnesota. As it turned out, that caption was problematic in several respects. 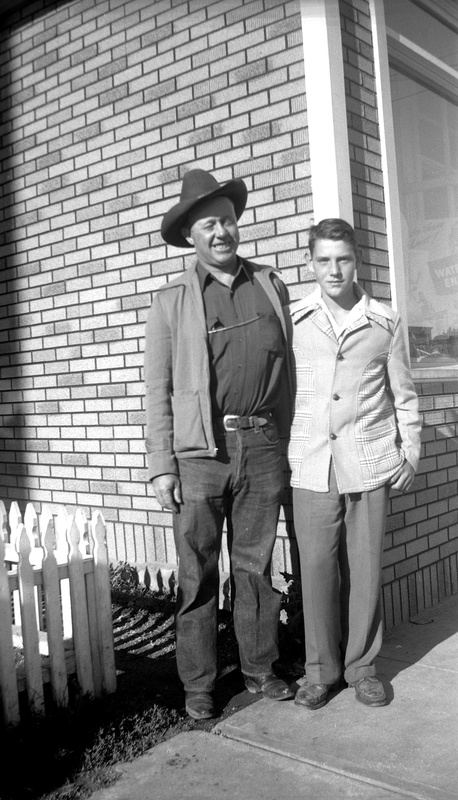 Hiram Greene with David D. Hanneman on July 14, 1945. I took a chance by doing a generic search engine query and came up empty. I quickly ruled out the idea that Mr. Greene was a major celebrity. Using databases at Ancestry.com, I was unable to find anyone by that name near Billings, Montana. But I did find what appeared to be a good match right in South Dakota, where the Hanneman family vacationed several times in the 1940s. Hiram Hoyt Greene was a farmer who lived much of his life around Mitchell, S.D. I ran a quick search and discovered the major tourist attraction in Mitchell is the Mitchell Corn Palace, home to world-famous murals made from corn. That quickly rang a bell with me. I had numerous photos of the Hannemans outside the Corn Palace. This led me to conclude that it was possible that Dad met Hiram Greene on the streets of Mitchell. Especially since there is no Canistota, Minnesota. There is a Canistota, S.D., another city the Hanneman family visited on vacation. Canistota is home to the famous Ortman Chiropractic Clinic. I could find no link between Hiram and Canistota, although it is only 40 miles from Mitchell. I took yet another look through the photo library and found an image of the Ortman Clinic. The building next to it appears to match the brick building that Dad and Mr. Greene are standing near. So it was Canistota after all. According to the 1940 U.S. Census, Hiram Hoyt Greene was a livestock and grain producer. This made sense. A cattle rancher would certainly dress like a cowboy. Perhaps Dad saw Mr. Greene on the street and wanted to have his photo taken with a real cowboy. I wonder if that had happened to Mr. Greene before? I started out looking for a celebrity, but found a regular, hard-working cattle rancher. It was an even better story, in my opinion. Hiram Hoyt Greene was born in May 1898. At the time of the World War I draft, he was a farmer in Mitchell, S.D. In May 1920, he married May Luella Moe. The couple had nine children. At various times in his working life, Greene farmed and lived in Mitchell, the Town of Beulah and Mount Vernon, South Dakota. He was hospitalized in November 1958, just a day after celebrating the wedding of one of his sons. He died on November 28, 1958 at age 60. I learned several key lessons from this photo detective assignment. First, it is always a good idea to write down information on the back of photographs. Or in the case of modern digital images, to embed a caption and keywords in the photo files. But you can’t always trust the information on old photo prints. Sometimes captions are written long after the events shown in the photo. 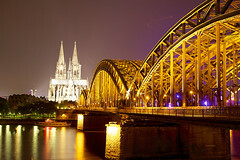 Memories can be jumbled, so it is good to check the information and correct it if necessary. — This post has been updated with more information. The Hannemans visited the Mitchell Corn Palace in Mitchell, S.D. Ruby V. Hanneman with children Lavonne and David outside the Mitchell Corn Palace in South Dakota. Ruby V. Hanneman with children Lavonne and David at the Black Hills of South Dakota, circa 1947. Marvin and Mabel Treutel operated a roadside root beer stand near their home on Wilhorn Road in Nekoosa, Wisconsin. Aside from 5-cent Rochester root beers, they served the “Best Roast Beef BBQ.” Pictured behind the counter in this late-1940s photo are Mabel Treutel (left), niece Lavonne Hanneman (center) and Marvin Treutel (right). Out front are daughters Bonnie Treutel (left), and Patricia Treutel (center, holding dog). The woman at right and the little girl at center are unidentified.